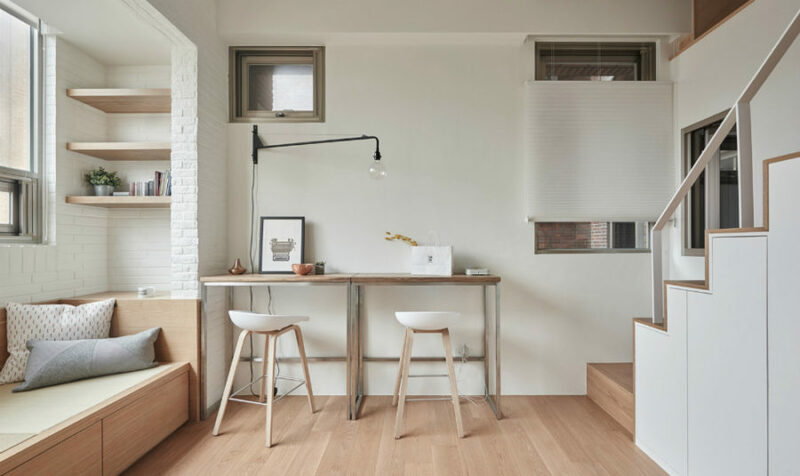 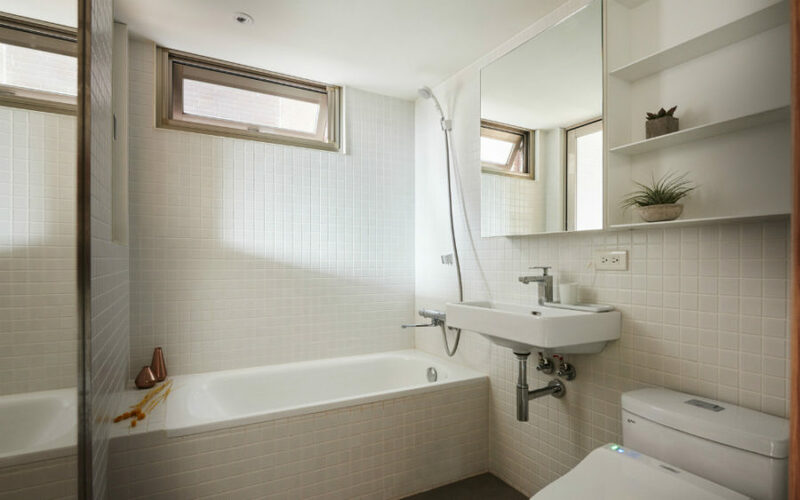 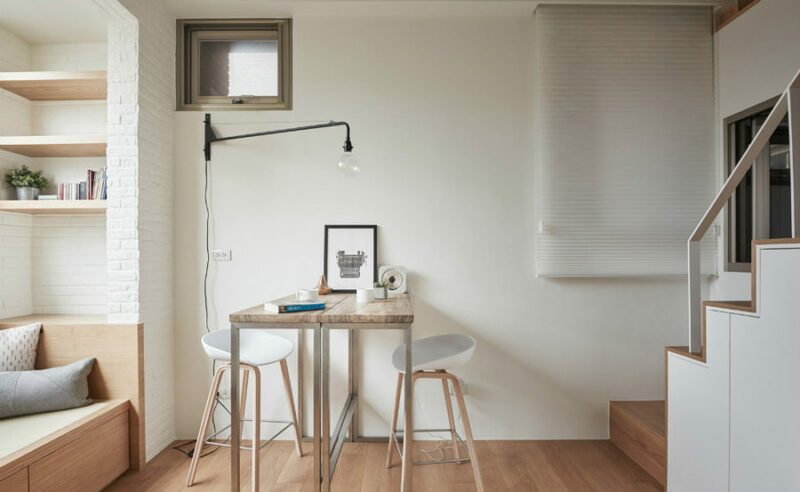 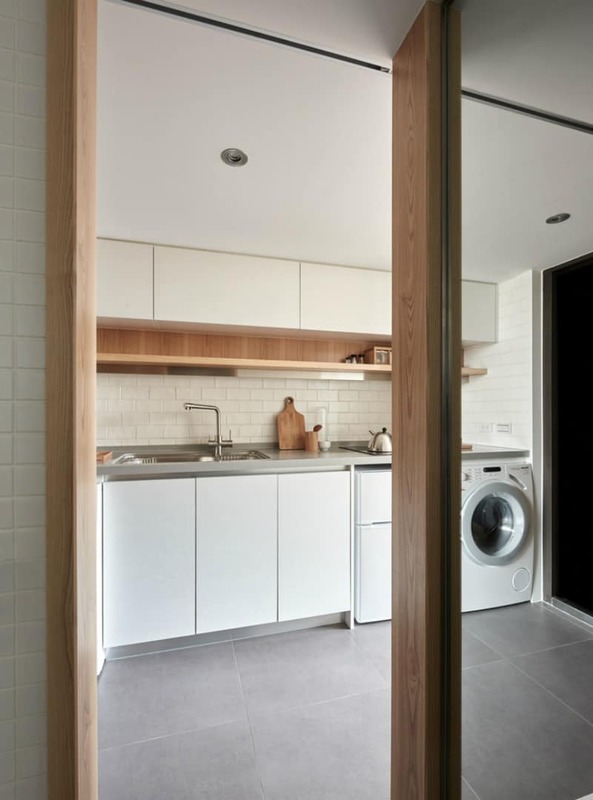 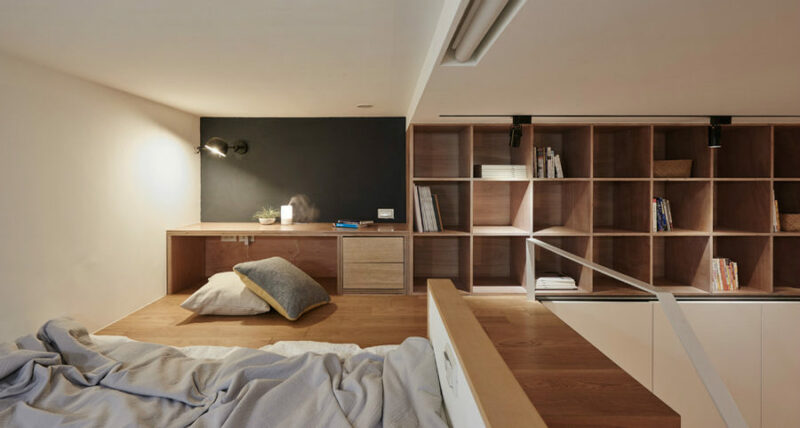 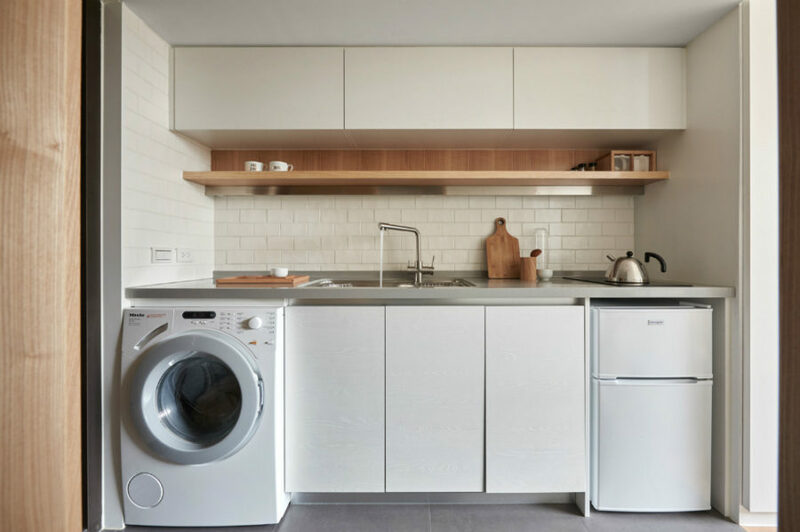 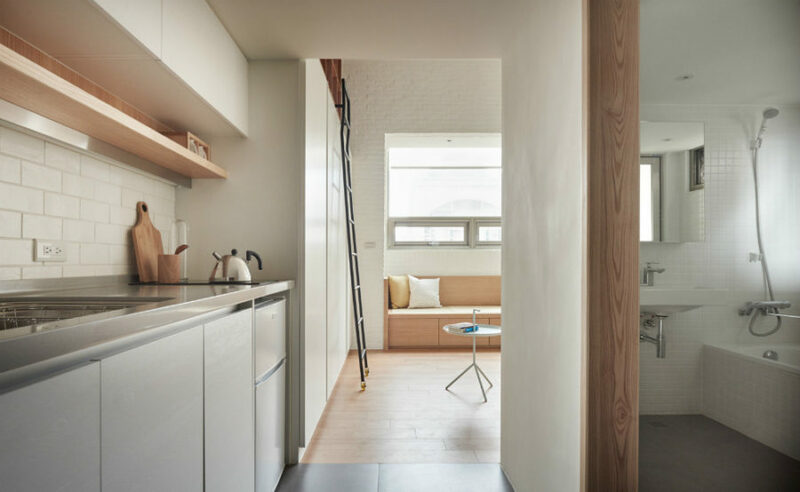 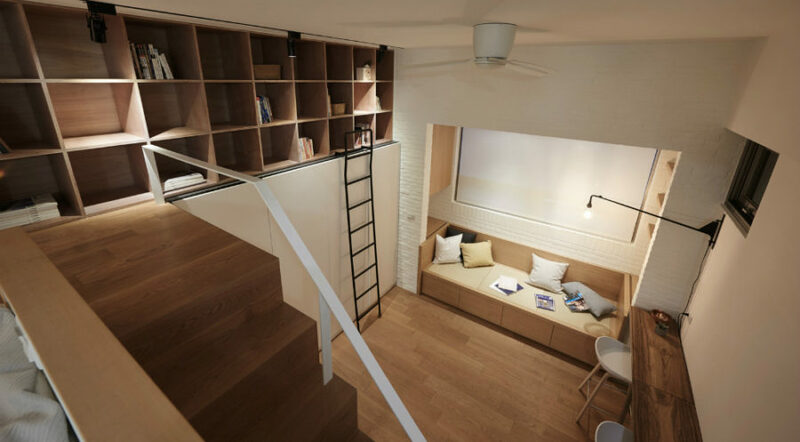 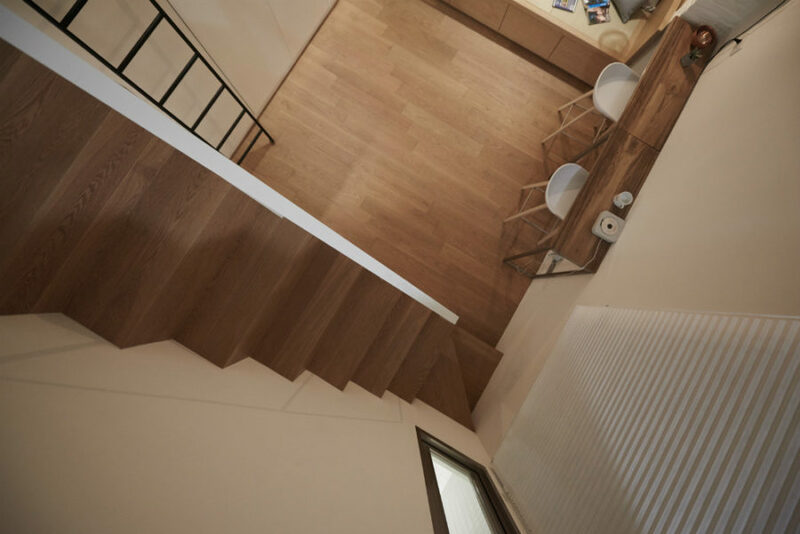 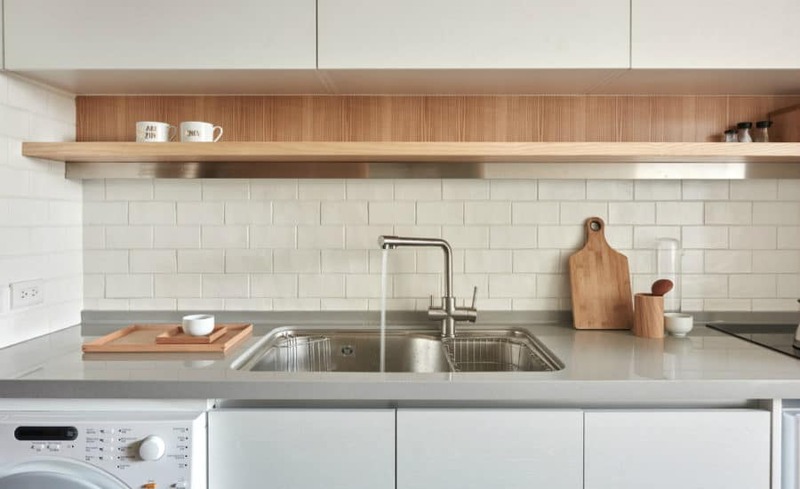 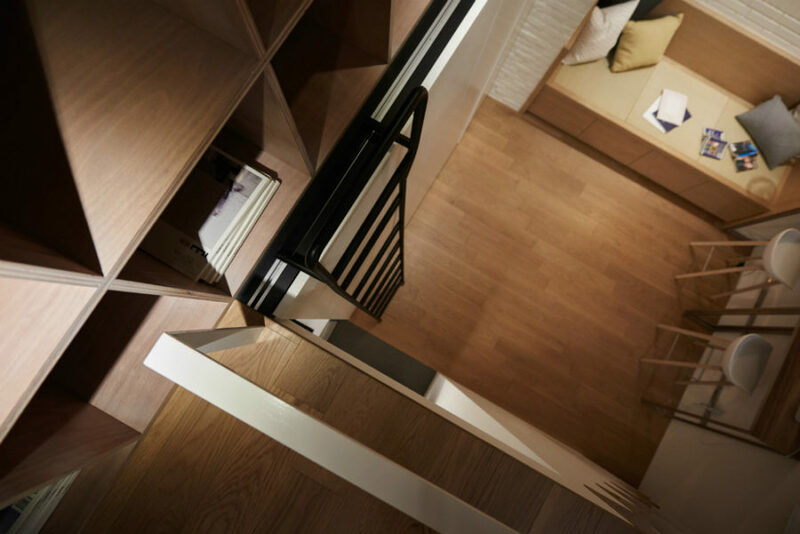 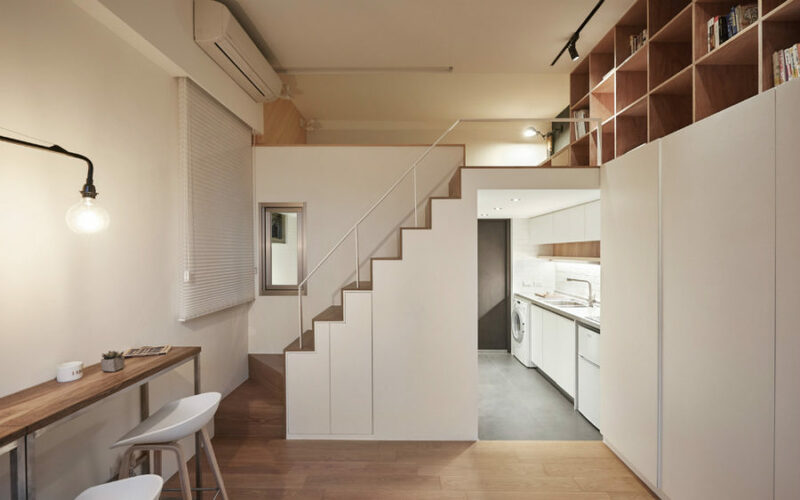 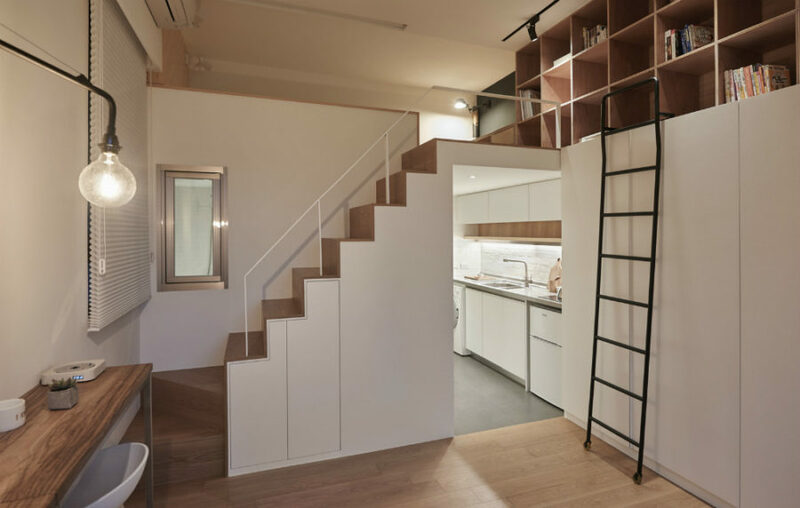 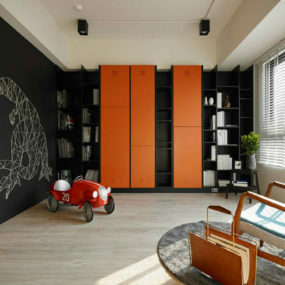 With just 236 square feet (22 sq m) to work an architect firm A Little Design turned this tiny apartment in Taiwan into a livable space, which for young people, as the architects note, has become increasingly hard to afford in Taipei City today. 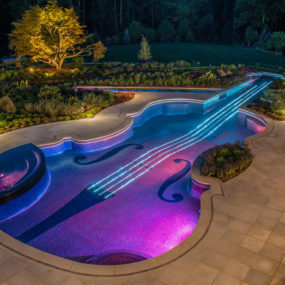 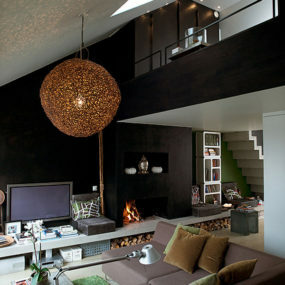 And so they did an amazing job with what they had. 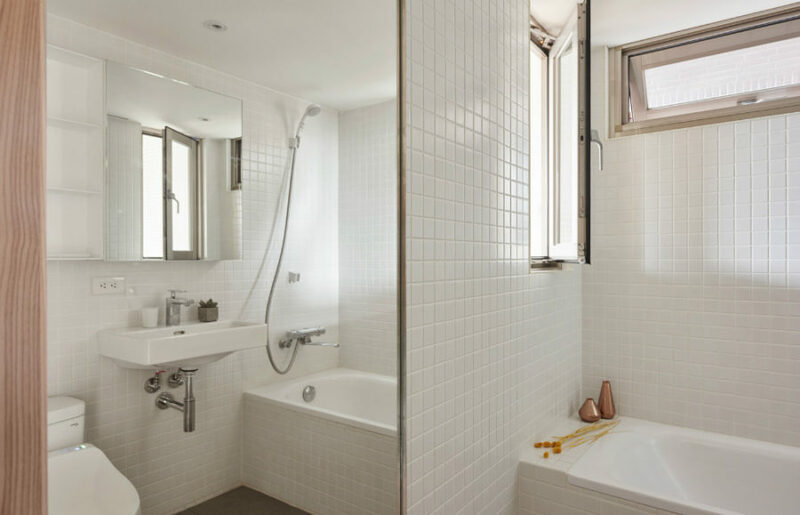 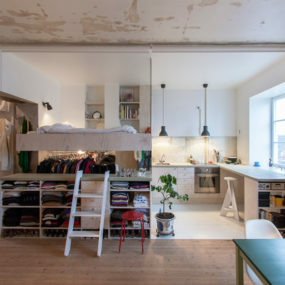 The ten-foot (3.3m) ceiling allowed to create a loft bedroom under which they tucked a kitchen and a bath. 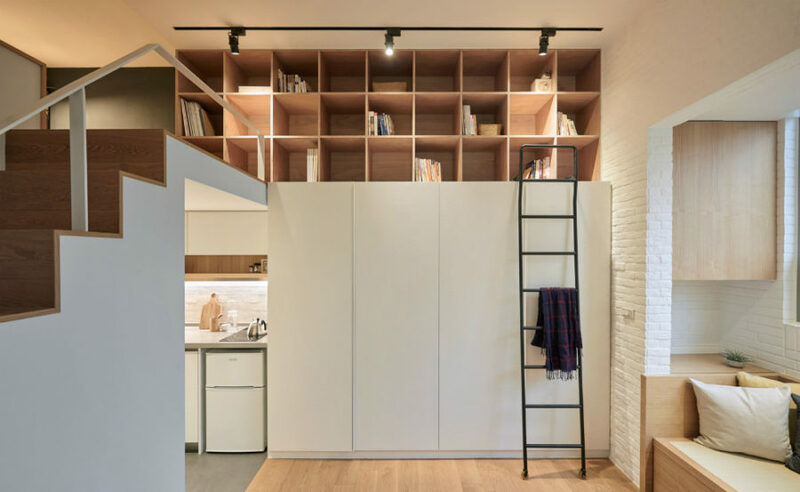 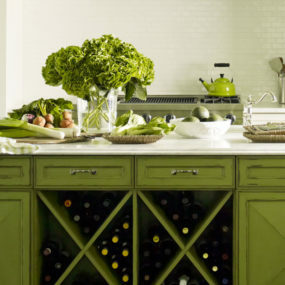 One of the walls was used to build storage with a sliding ladder. 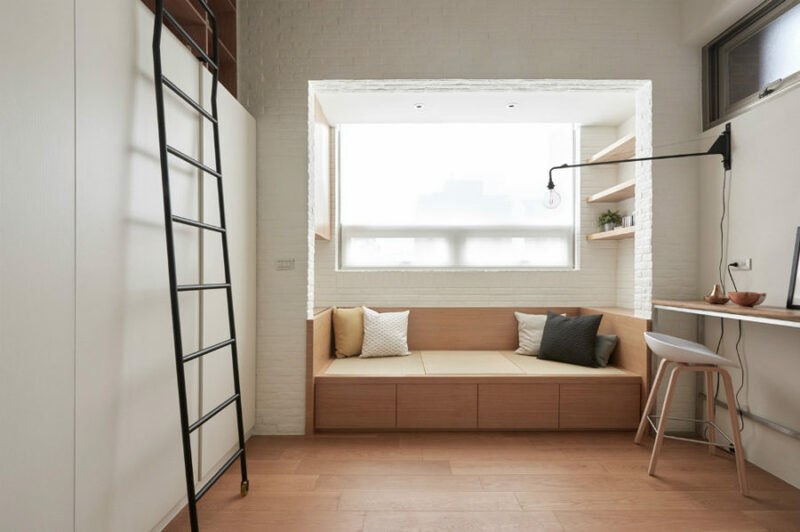 A small alcove with a big window now accommodates a couch with a hanging cabinet and a few floating shelves to maximize the storage space.